Many of you will inevitably be spending time celebrating with family and friends today, but first and foremost, we hope you will pause to honor and celebrate those who have given their lives defending our country. And for those of you hoping to carry over that patriotic feeling to those picnics and pool parties today without looking like you’re wearing an American flag tied around your waist, we hope this patriotic style guide will help. Feel free to proudly wear the red, white, and blue America is known for, just not all at once. And if you do, go for off-shades, such as navy blue or brick red to give a more subtle homage to our homeland. Embrace the symbols of our flag in stylish accents on your outfit. Try a tank top with stars or a skirt with broad stripes that evoke imagery of Old Glory. Consider wearing your patriotism on your sleeve…literally. 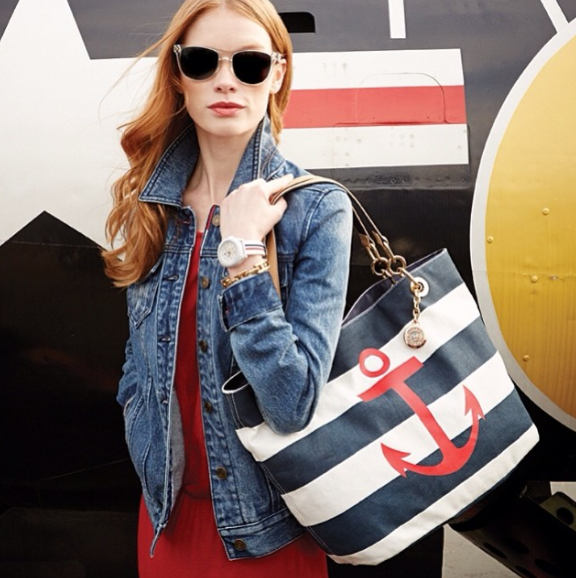 Nothing says Americana like a nautical themed bag in blue & white stripes with a red anchor paired with a classic jean jacket. 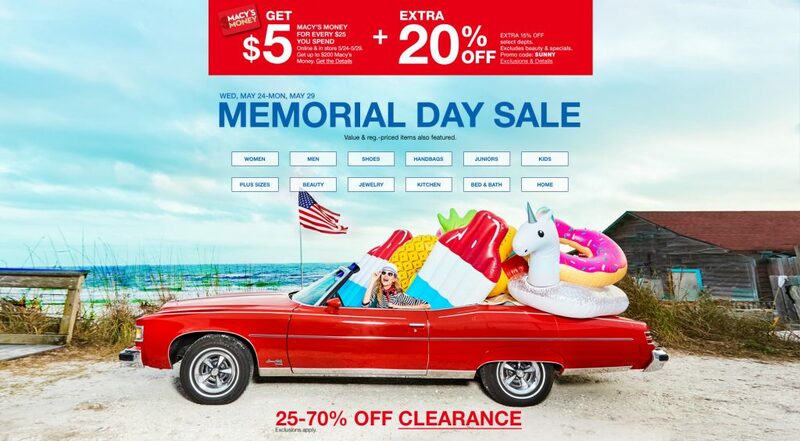 Memorial Day is also a time to save big, especially at Macys.com. Today is the final day of the Memorial Day sale, and also the final day to earn your Macy’s Money.